Pastors are women and men who dedicate their lives to two main things: (1) proclaiming and teaching freedom through the power of God’s love and (2) caring for others through acts of compassion, justice and mercy. Yet pastors too often suffer in silence and isolation from common mental illnesses such as depression and anxiety. It almost makes it worse that the very people who provide care for so many in their times of greatest need, are the very people who often cry out in a void, often feeling like there are few safe places to share their pain and get help. Even if a pastor wanted to get help, they often do not have adequate health insurance to pay for mental health care, or access to mental health professionals and find it difficult, like many people, to financially prioritize expensive therapy appointments and or prescription medications. Busy schedules, often filled with unexpected demands, leave pastors with little down time or a day off. There is still the expectation that pastors are available 24/7, so the brain of a pastor never truly rests, part of it is on high alert, even in the dead of night, for that text or call about a death in the church. This consistent lack of deep rest, combined with compassion fatigue from the relentless care of others, create hazardous conditions for pastors to maintain good mental health hygiene. Even with the incredible toll pastoring takes, the great sacrifices one suffers, it is still a vocation many feel called to follow. There are many intangible rewards and inexplainable satisfactions that come with being a person who is a pastor. At the same time, we do not fully understand or acknowledge the significant toll of pastoring over time on a person’s mental health. More research needs to be done to get a full sense of the picture. Yet, from what I am hearing in the circles of pastors that I engage in, it does not matter if you are fresh out of seminary or have been pastoring for decades, depression and anxiety continue to be present in pastors lives and it’s as common as the liturgical calendar. Worst is that we are still fearful to talk about it. Because: Shame. Stigma. Fear. There are so many unknowns: will I still be considered fit for ministry? Will I still be a good pastor? Will I lose my credentials? Will I lose my church? Will I lose the people’s respect? Will I get to be a pastor? Will I get better? Will I find my joy again? Depression and anxiety already take away so much from life, it is painful to even consider what more it could take away. 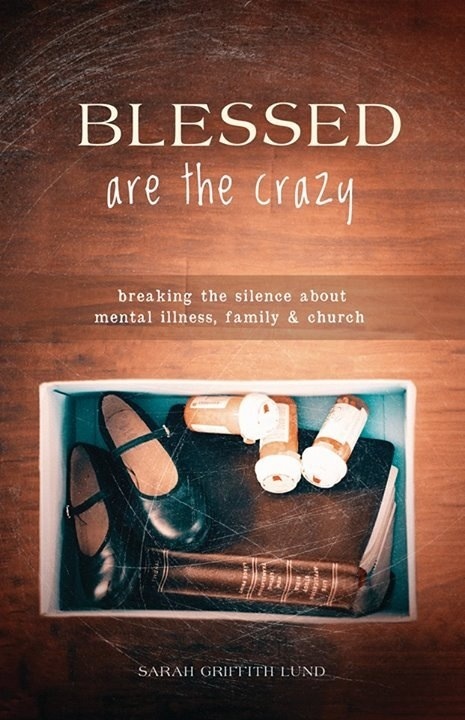 And for pastors, there is a real fear that a publicly known mental illness diagnosis, even one as common and treatable as depression, could either negatively effect or even end their vocation. Part of the problem is us. We don’t know how to heal the healer. Our society doesn’t say it’s okay for the doctor to need a doctor. We have experts and people who are suppose to know everything, heal everyone, including themselves, never get sick and never get sad. It’s their job, we say, to heal and save us….so who is thinking about and working on healing and saving them? Let’s be honest. We take our pastors for granted. We don’t appreciate the sacrifices they make on a daily basis. We don’t know what it’s like to carry the burdens they carry. We don’t do enough to ensure that all pastors have access to affordable, accessible and quality mental health care. One of the simplest things we can do to help pastors is to recognize and accept the fact that they are human. And as humans in a highly and uniquely demanding vocation, they most likely are experiencing some level of anxiety and or depression on a fairly regular basis. This anxiety and depression is most likely on a spectrum in terms of severity, and it could be mild most of the time with high levels of daily functioning. Yet, it’s always there right under the surface. And in holiday seasons, like Christmas and Easter, these anxieties and waves of depression often increase for pastors. There are tremendous highs and lows, fears and worries, so many impossible expectations and endless lists of things to do. It can be immobilizing. Mental Health Mercy #1: Share words of encouragement, it doesn’t have to be long. Send a text, email or card in the mail that says “thank you for all you do.” Make sure your pastor hears these words every day. Secret: Many pastors feel undervalued and unappreciated. Depression makes you feel worthless. Mental Health Mercy #3: Advocate for your pastor to be compensated fairly so she can afford quality mental health care. Create a special fund for the pastor’s wellbeing, to be used at the pastor’s discretion for activities that contribute to wellness. Secret: Many pastors cannot afford the fees to see a therapist or spiritual director. So instead of getting badly needed help, they grow more and more depressed. Mental Health Mercy #4: Normalize the spectrum of mental health in your church by speaking out loud about it. Educate yourselves about brain health. Breaking the silence about mental illness is a powerful way to get people talking. Secret: It still feels too risky for many pastors to openly talk about mental illness. Other people in the church can begin the conversation, it doesn’t have to be the pastor who gets the conversation started. Mental Health Mercy #5: Shower your pastor with reminders of God’s grace. Chances are good that she has had a bad day this week. What would it look like to shower her with God’s grace? A gift card? Cancel an extra meeting? Volunteer to help? Flowers? Chocolate? Take time to consider what brings hope and joy to your pastor. How can you share these small things in everyday ways that reminds your pastor that she, too, is a child of God. Secret: Many pastors feel unworthy and inadequate. Episodes of depression and anxiety only worsen the pastor’s self esteem. Small mental health mercies can go a long way. Lord knows, our pastors need them. Lord knows how much we love our pastors. Let’s show them how much we care for them. So many pastors struggle with depression and/or anxiety. Let them know that it is okay, they are not alone. God is with them and the church is, too.